If you saw the third Spíder-Man movie directed by Sam Raimi, you have a pretty good idea about the origins of Venom. However, back in the early 90’s the character proved so popular, that Marvel began marketing him as something of an anti-hero instead of a villain, effectively neutering one of spider-Man’s most dangerous foes. 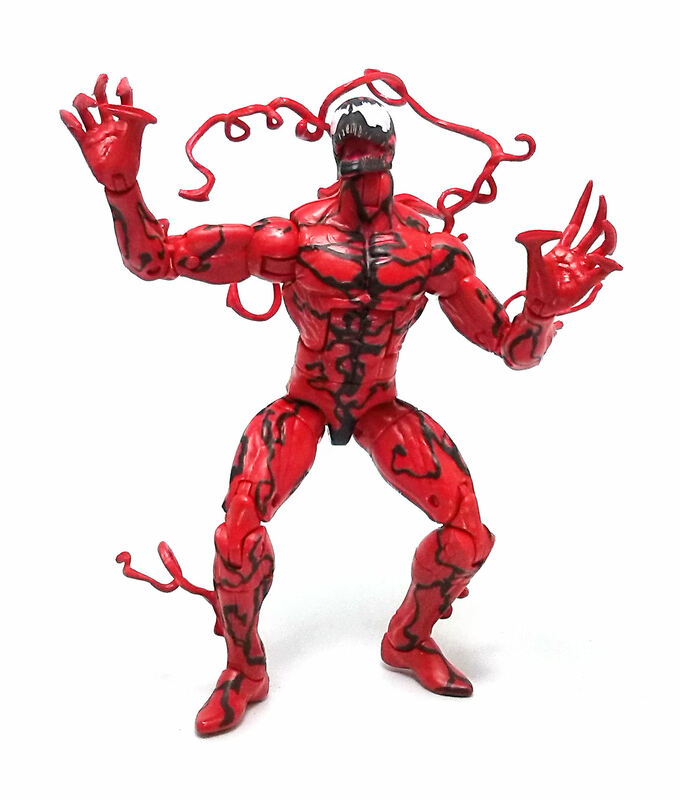 To try and fill the void, they came up with Carnage, by infecting maniacal murderer Kletus Kassady with an offspring of the original Venom symbiote. 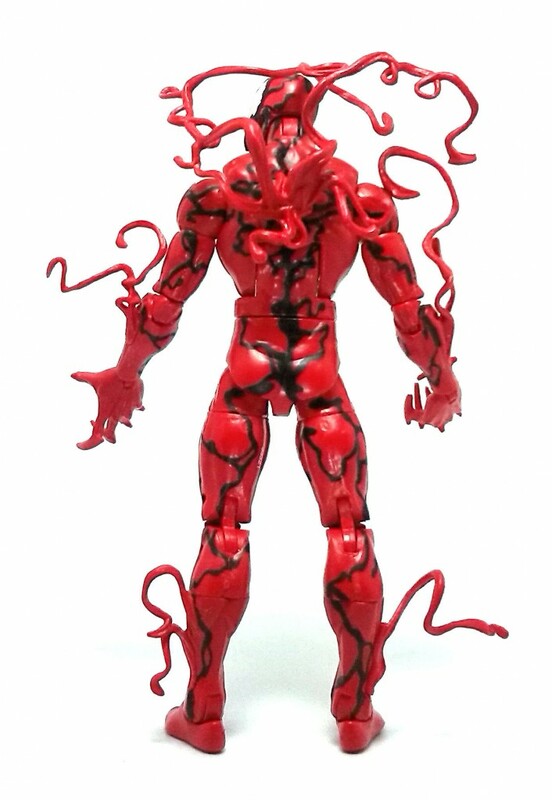 Carnage uses a retooled slim buck with a number of add-ons to portray the flailing tendrils sprouting from his calves and forearms, as well as a new head and hands. The sculpture is well detailed even though it lacks complex textures. 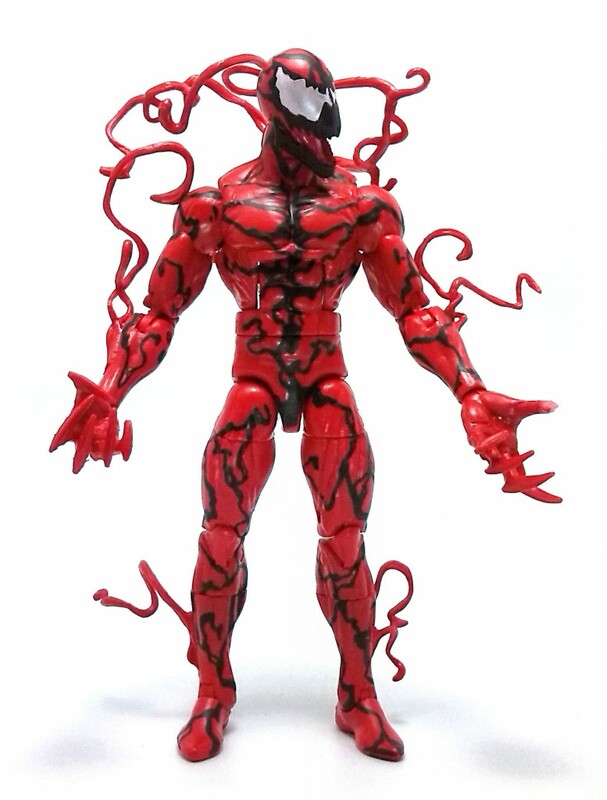 Carnage has a pair of holes in his back that connect to another tendril attachment, and his face is sculpted with a big, malignant grin. 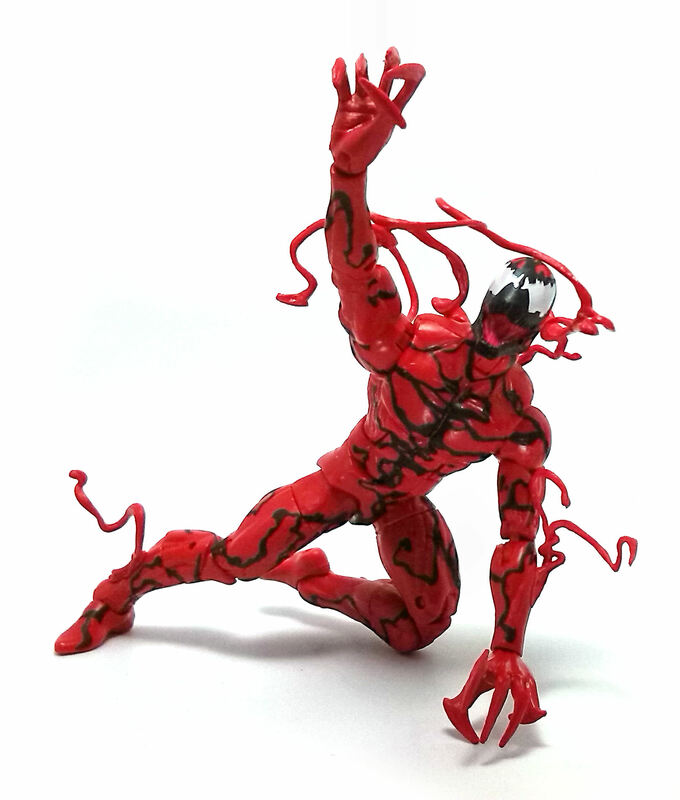 I find that this particular articulation design works really well with slim characters like Carnage, and although the plastic used this time feels somewhat more flexible than usual, Carnage can hold most poses without much trouble. 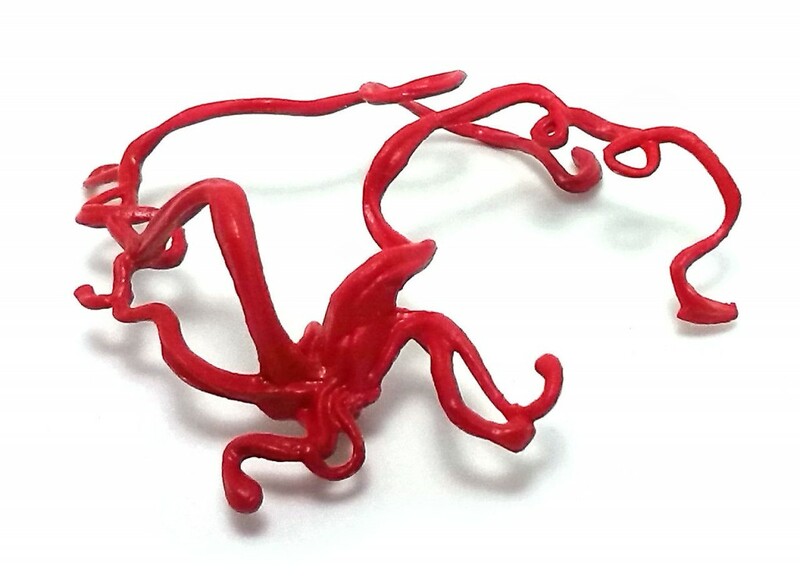 Carnage was molded entirely in red plastics, the harder and softer kind matching hues perfectly. All of the black paint applications show good coverage. The eyes are painted in a pearly white color, and even though the edges of the eyes are not perfectly aligned, it is hardly noticeable considering the chaotic nature of the character design. 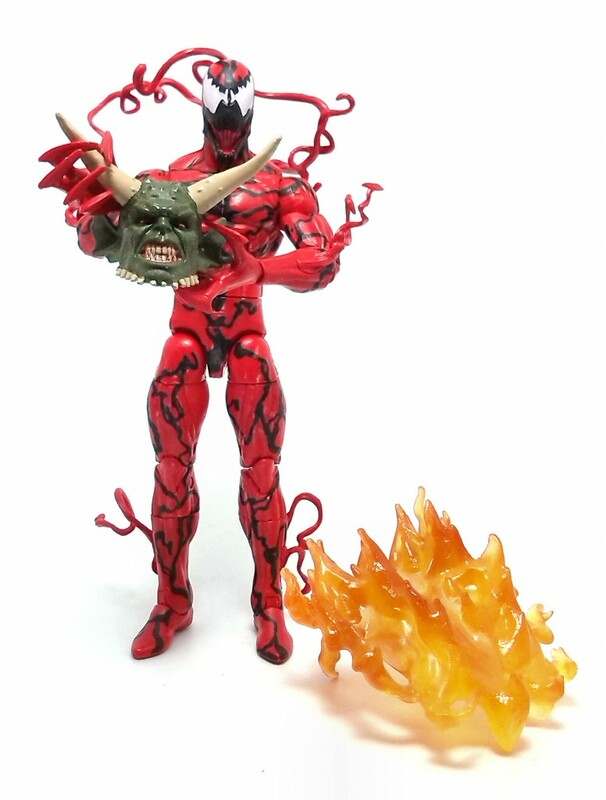 Other than the tendril attachment for his back, Carnage comes with no extra usable accessories, although the box includes the head of the Ultimate Goblin bonus figure and a large, translucent orange flame piece that should go on that character’s back. I did not have much trouble to find my figure in a local store, but truth be told, afterwards I have never seen him again in the wild, but that also rings true for the Toxin variant, so maybe it is just a general distribution issue. 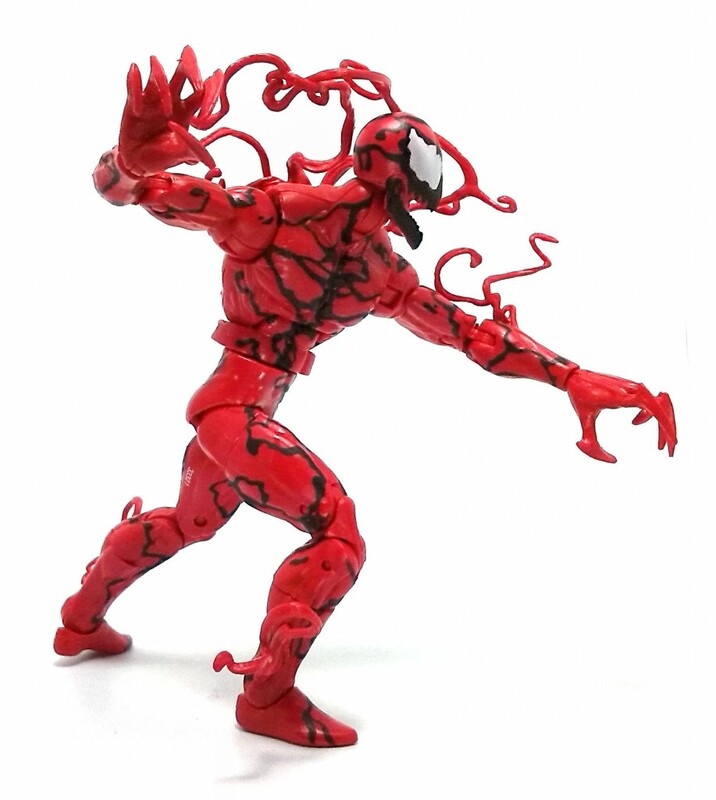 In any case, I find Carnage to be a really cool action figure villain and definitely worth chasing down.